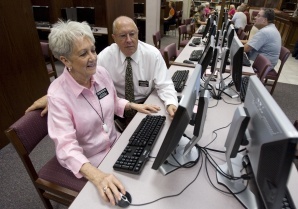 Arizona Republic online graphic of a senior missionary couple in Mesa, Arizona Regional Family History Center. Let’s take a lesson from the dedicated thousands of volunteers in thousands of Family History Centers across the globe. Do 10% pro bono work. To this day, Lynell & I still do complimentary work here & there. Pick & choose carefully. Sometimes there will be absolutely NO benefit to the volunteer work. As my wife would say, “And that’s–OK.” But, doing the right thing is sometimes supernatural. We continue to ask for opportunities to serve. I don’t have time to check, but while your software may be grand, is it re-inventing the wheel? Or, is it improving on the wheel or creating a non-roadborne method of motion? In other words, it must be somehow superior. I doubt you can compete with millions of $ worth of genealogy software. But as they say so well in German: “Ich lass mich gerne ueberraschen!” That is: It would be great if I were proven in error! SUPERMAN? So, in the meantime, how about helping people actually use various forms of software–genealogy or otherwise? 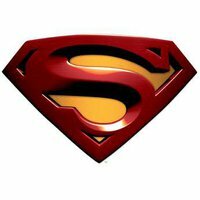 Become someone’s Superman. There is a senior market that only has enough knowledge to be dangerous. Offer to help them navigate the online & offline programs & even some of the research. If you get stuck on the research portion, consult with those who have even more experience, like Lynell & me. Lynell & Karl-Michael Sala were THE very 1st two persons hand-picked for the short-lived, but highly successful Ancestry.com Paid Expert Ancestry Research Line. Why? Because they had the highest success ratio in having helped subscribers find what they had been seeking for DECADES! PRO BONO? We offer you your first search totally for free, with zero obligation. Why? Then, we prove that we indeed know what we are doing. Now, do as I’m doing & offer something (limited, like my offer to you) to someone for free. That’s how I got started: a friend wanted to pay me to find something for him. I thought: “Cool!” Now, because people pay me well, I’m happily addicted, connected, hooked, linked in, snookered…. Poland Genealogist? Prussia Genealogist? Preussen Genealogy? German Genealogy?